The liver is the second largest organ in the body (the skin is the largest) and one of the most important ones. This month is perfect to talk about how to look after your liver as British Liver Trust, the leading adult liver health charity is running a national awareness campaign, Love Your Liver. Their message is simple: take Three Steps to a healthy liver by being aware of the risks from alcohol, obesity and viral hepatitis. If you overindulged over festive season or when on holidays and you have overworked your liver, now it’s the time to look at your diet and see how you can improve it to help your liver recover faster. However, diet is not the only thing you can change to improve your liver’s functions. In this blog post, I explore different ways of looking after your liver; from eating foods good for the liver to exercising. What does your liver do exactly? To understand why you should look after your liver, we should take a look at the function of the liver first. The liver does lots of things and its most important function is to filter blood coming from the digestive tract and remove toxins from it before passing it to the rest of the body. Imagine if the liver didn’t work very well. What do you think it will happen to your body? One thing that happens for sure is the toxins start to accumulate in your body, creating all sorts of health issues. Looking at the functions of the liver it becomes clear how important role this organ carries and shows that it is crucial to keep it healthy. A healthy liver means a healthy body! If you want to know how healthy your liver is, the best is to get yourself tested by undertaking a simple blood check. 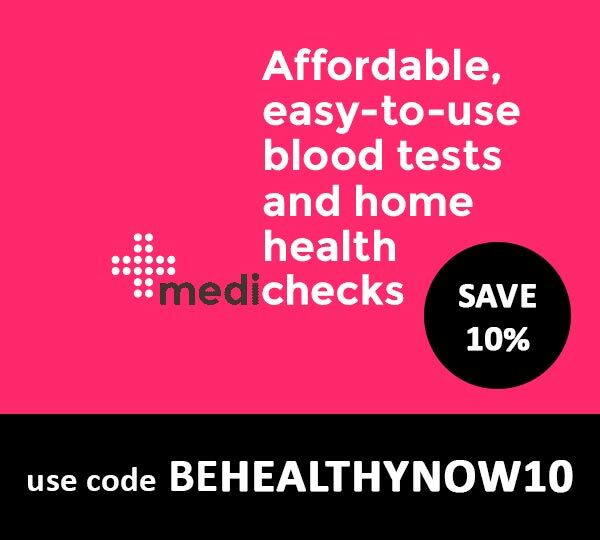 Go private if your GP won’t send you for a test (I recommend Medichecks as they are very fast and efficient + you get a 10% off by using my exclusive code BEHEALTHYNOW10). To keep your liver working at its best eat unprocessed foods as much as possible. Avoid foods high in saturated fats and sugar, such as junk food, chocolate, cakes and biscuits and instead, eat lots of organic vegetables especially cruciferous vegetables such as broccoli and cabbage. From fruits, dark grapes and berries are especially helpful at stimulating energy flow through the liver. As a part of a healthy and balanced diet also include healthy grains such as amaranth, millet and quinoa and legumes such as kidney beans, peas and soybeans. There are also lots of herbs and spices which help to improve liver function such as parsley, turmeric, dandelion, peppermint, and many more. Milk thistle is a herb that is sometimes used as a natural treatment for liver problems and its main active ingredient silymarin is claimed to protect the liver from toxins. There are some studies suggesting that silymarin can be helpful in protecting the liver but more studies are needed to show whether milk thistle has any effects in the body (1). For liver health, it’s important to avoid alcohol which is one of the most common causes of liver damage and one of the most toxic substances to the liver. Drinking enough water helps the liver flush out the toxins and drinking lemon water on an empty stomach every morning will also help as lemon water reduces inflammation and oxidation in the liver (2). 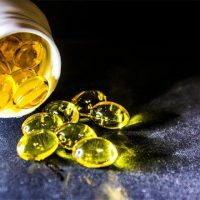 You have to be careful not to take too many supplements and only those that you think you really need and benefit from as these are all processed by the liver and too much of them can actually damage the liver. Be especially careful with iron supplements as too much iron can really damage your liver. The best is to talk to your doctor and regularly monitor iron levels in your body. Also, be careful with vitamin A as excessive consumption can cause damage to your liver too. So be careful – the supplements you take may not be as safe as you think! Do not take high dose supplements unless recommended by a medical practitioner. Smoking is bad for your liver and it dramatically increases your risk of developing liver cancer (5). If you smoke, seek some help to help you quit and reduce your risk of developing liver cancer. If you regularly use cannabis this could cause liver damage and other drugs have also potential to put stress on your liver. Amphetamines (speed) can damage your liver and cocaine and ecstasy can cause liver toxicity and even liver failure. If you want to look after your liver, the best is to avoid any kind of drugs. Too many toxins in your blood and your liver will feel overworked and will not able to efficiently remove the toxins from the body. But what can you do? A lot actually. Use only natural cosmetics, cleaning products that are not harmful to humans in any way, live away from the big cities, polluted towns and busy roads. Avoiding different types of toxins will not only keep the liver in good health but the whole body will be much healthier too. Exercise can actually improve liver health, studies have shown. By exercising, you can reduce the amount of fatty tissue in the liver that can make you feel exhausted or sluggish. A combination of aerobic exercise and weight training has the greatest effect on liver function (6). The key to a healthy liver is a healthy lifestyle. Don’t smoke and avoid alcohol. Eat a healthy diet and exercise regularly. Avoid various toxins if you can and be careful with dietary supplements. These are the key points to follow to look after your liver and keep them in good health. I am glad you liked the post Lisa! It’s so good to hear that you quit smoking and stopped drinking excessively. It’s really worth looking after your health at the end. We are all sometimes guilty of not drinking enough water. Maybe you could try adding a slice of lemon to it for a bit of flavour to help you drink more? Thanks for the comment! Wow, this post was really, really informative. 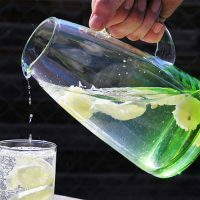 I recently went on a three-day detox and lemon water was one of the things they prescribed for in the morning, but I didn’t know it had such an effect on the liver. Will definitely be keeping up drinking it, as it’s actually pretty tasty too! Thanks for the comment Besma! I am glad you found the post informative. I would really like to spread the word about how to look after your liver this month, especially because my dad died of liver cancer (10 yrs ago) and people don’t realise how important it is to keep liver healthy. Drinking lemon water in the morning on an empty stomach is definitely a good habit to have. I add lemon to green tea which I believe it has the same effect. Thanks for stopping by Besma! Great post. Love Your Liver is a good campaign for getting people to think about how their lifestyle effects their liver a little more. Thanks for checking the post out Helen! I am glad you liked it and hopefully together we can spread the word about the importance of looking after liver. I am glad to hear you found it helpful.